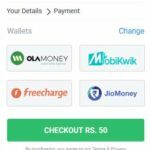 Recently Freecharge Also Added Upi Payment Method to Pay Easy, Fast & Secure. Get Rs.25 Cashback Offer on First Transaction on Recharges & Bills. Offer is Valid for All Users but Only For Upi Transaction, To avail this Offer Just you have to Pay via Any Upi App Payment method. 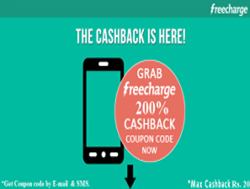 If you don’t Know How to Pay via Upi On Freecharge then Don’t worry, Here you will get Step by step guide to grab your Freecharge Cashback. Offer Valid only for those Users who still Didn’t used UPI transaction Method On Freecharge app. Before Avail this Offer , Firstly You have to Make your VPA Address by which you can Send & Receive Money via UPI Apps. It’s Very Simple Just Install Phonepe App & Add your Bank account >> Create VPA & Set upi Pin For your account. Now Open Latest Version of Freecharge App. Done ! You Successfully Made payment via UPI on Freecharge. Your Rs.15 Cashback Will be Credited in your account, Very soon. Not valid on Add Cash & Airtel network Transactions. Valid only on Payment Using UPI Method. Valid for All users but Once only. Offer not valid on prepaid, postpaid, DTH, Datacard, electricity, landline and metro. Open Latest Version of Freecharge App.